In a result that surprised just about no one, Turkish President Recep Tayyip Erdogan has gained a 'Yes' vote in the weekend referendum, granting him sweeping new executive powers and a complete overhaul of the constitution drawn up at the birth of the Republic under Kemal Ataturk. Under the new arrangement, the job of prime minister will be scrapped. The president will have power to appoint top public officials including ministers and deputies. The president and parliament will together choose four members of the Supreme Board of Judges and Prosecutors, a judicial council that appoints and removes the judiciary. The president, who can now serve a maximum of two five-year terms, will also have the power to enact a state of emergency indefinitely. As historic and significant as this vote sounds, in reality it changes little both domestically and from a foreign policy perspective. Erdogan has so severely eroded Turkey’s democracy for so long now that this latest step merely gives him greater freedom to pursue his illiberal course without any change in the immediate trajectory. Since being elected president in 2015, Erdogan has chosen a path that critics lament has been a slow slide to dictatorship. And while opponents may see the move from a parliamentary system to an executive presidency as the end of democracy in Turkey, in truth it merely formalises what has already been in practice. Erdogan had campaigned on a 'Yes' vote on a platform of security in uncertain times. 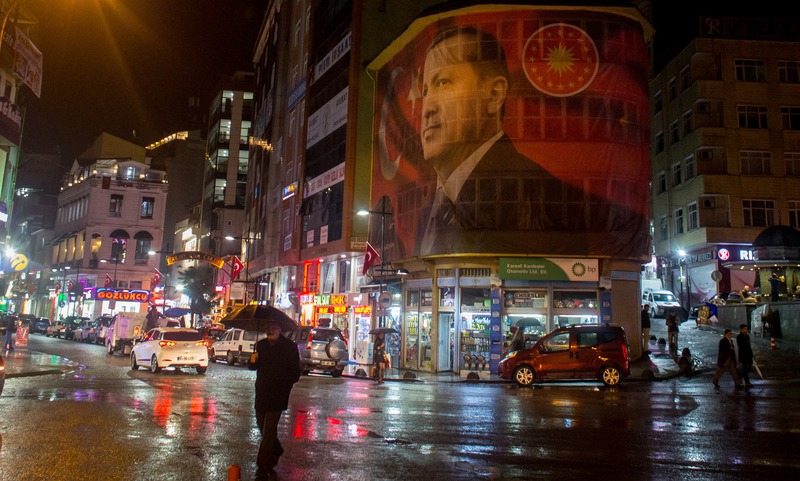 For his supporters among the merchant classes and conservative Muslim voters, Erdogan is the antidote to secular military oppressors intent on destabilising the country, and a pillar of stability in the face of numerous external threats. After abandoning peace talks with the PKK in 2015, Erdogan re-ignited all-out conflict with the Kurds by launching a blistering air assault against the group in Kurdish areas of the south-east. Then there were also multiple terror attacks at the suspected hands of ISIS. But it was the failed coup attempt in July 2016 that proved most beneficial to Erdogan. Immediately afterwards, parliament approved a bill declaring a three-month state of emergency. Martial law enabled Turkey to suspend its obligations with regard to the European convention on human rights, allowing the President extraordinary powers to rule by decree and make decisions that cannot be overturned by the Constitutional Court. It also granted police extraordinary powers of detention and overturned rights to freedom of speech and association. Erdogan, who excels at manipulating a crisis, whipped up a frenzied mood of paranoid nationalism, using his powers to embark on a purge that saw tens of thousands of alleged plotters – from the press, judiciary, education sector and army – arrested and detained. The state of emergency was extended for another 90 days in October and again in January in the wake of the New Year’s Eve terrorist attack on a nightclub in Istanbul. So the referendum result is no doubt a sad day for Turks, who are likely to see a continued erosion of their rights, more arrests among a broadened opposition movement, virtually no checks and balances to hold the President to account, and a malleable and compliant judiciary. But is it really anything different from what we have seen under emergency law? The saddest part of Sunday’s result is that for all the worrying signs of autocracy it suggests, there is every chance a 'No' vote would have been worse. Almost certainly, Erdogan would have blamed conspirators for a referendum defeat, there would have been an extension of the state of emergency and another round of mass arrests. Perhaps we would have seen the engineering of another terror incident or crisis point acting as a rallying call for 'Yes' campaigners. Erdogan may have called an early election or pushed through changes without a referendum. He would not have taken a 'No' vote lying down. Meanwhile, Europe and West watch on in impotent unease. Turkey is a NATO member and a member of the Council of Europe, with membership to the European Union pending. It shares a long border with Syria and is home to an important American airbase from which the US is conducting strikes against ISIS in Iraq and Syria. Moreover, Turkey holds the key to stemming the flow of migrants to Europe. The EU and US are right to be worried about their wayward ally, and many Turks should be too. But whether that concern was any more or less justified before Sunday’s referendum is debatable. The only real surprise was the thinness of the margin, and what that suggests for the future unity of the country. * President Trump has now done so.